Superdry women's Premium Brand classic Portland t-shirt. 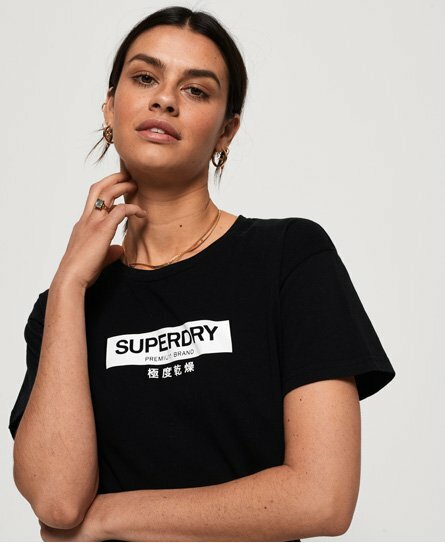 Update your basics this season with this t-shirt in an oversized fit, featuring a crew neck, short sleeves and a textured Superdry logo across the chest. Completed with a Superdry logo tab on the hem.